This is my daughter, Anne’s favorite recipe. This Sausage and Cream Cheese dip is great to make for your next party or just anytime. Anne and Leigh make it whenever they have friends over to visit. My entire family is addicted to this dip! The sausage and cream cheese make it a wonderful addition to any gathering! Brown sausage, onion and garlic in a skillet and drain. While sausage is cooking put cream cheese and tomatoes in crock pot on high. 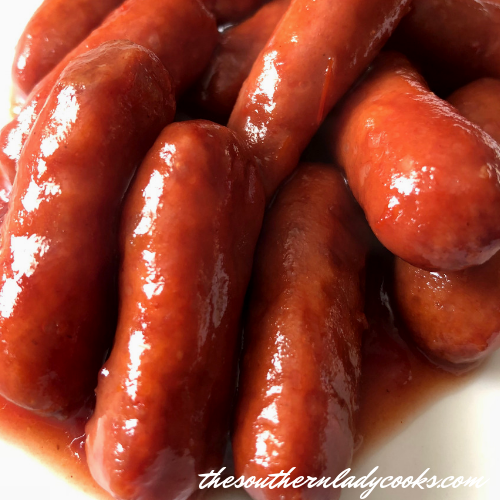 Add browned sausage to crock pot and let cook until cheese is melted and dip is hot. Serve with nachos, chips, or crackers of your choice. Enjoy! If you like this dip, you might also like my recipe for Southern Caviar or Black-eyed Pea Dip. Our family has enjoyed this recipe for over 50 years. Do not copy and paste the entire recipe on Pinterest but you are welcome to hit the Pinterest button at the bottom of the recipe and pin it that way or you can re-pin from my boards and follow me here: http://www.pinterest.com/jdyygr/ Thanks for asking. Happy to have you. Thanks, I love your site! I wouldn’t make it with the mild rotel. I did one time and you use a lot of the flavor. I haven’t met anyone yet who doesn’t love this dip!!! oops you lose a lot of the flavor. Hi judy, I was hoping that you could teel me if ann’s sausage and cream cheese dip can be maded ahead of time and then rewarm . i would like to make it for your health and safety meeting at work . It could probably be reheated in the crockpot. We make it with just the cream cheese & sausage. It’s good on the town house pretzel crackers or any kind. I’ve made it in the mornings and carried it to work. It sits on the table(we don’t warm it) and is eaten over the day. I had this yesterday as a Super Bowl treat and leftovers for breakfast. I just passed it on for a low carb treat as well. Made this with organic and it was great!!! I have made this dip for years! And we love it! I put it in a crock pot to keep it warm while we watch football. Glad to know that you like it as much as we do. Happy New Year! This sounds awesome. I also do the queso using velveeta, ro-tel, and sausage. I am going to try this, cant wait!! wouldn’t this work well with velveeta instead of the cream cheese. sounds familiar. Karen, the cream cheese gives it a different taste. I don’t put the rotel in mine. I do make the dip using the rotel, velveeta, sausage/hamburger in the crock pot. We only use chips with the rotel dip & only crackers with the creamcheese/sausage dip. I make the same recipe except I use velveeta cheese…mmm so good. This dip looks so simple and delicious! And I think it’s so cool you have a daughter named Anne.